One a successful engineer who lead design teams at Bennetton and Ferrari that won World Championships. The other, at three teams over 20 years. Which is the better F1 engineer and why? Which one would win in a bar fight and why? I am not sure who is the better engineer but in terms of records. Newey is ahead for me. He did it at more teams, over a longer period of time and although I could be wrong, Newey was more a 1 man show whilst Byrne’s major success came as part of a dream team. Newey is incorrectly slated as a one man show and also relies on a significant staff directly under him that contribute to the overall design of Red Bull's cars. He's not a one-man show just like James Allison wasn't/isn't one either. An F1 car is comprised of hundreds of thousands of components and no one designer knows how to integrate every component into a singular machine. The engineers all meet to help one another work together to ensure everything comes together. If I had an F1 team and had to pick one, Newey every time. Newey may not be a one man show, but he has shown he can work in many teams and still help get the results; Byrne may have moved from Benetton to Ferrari, but so did a large chunk of the team and the driver they were designing everything round. Most definitely Newey, his ability to arrange a technical team stands head and shoulders above everyone else. Hard to separate Rory Byrne's successes from those of Michael Schumacher, and Ross Brawn for that matter. That trio posted WCC & WDC titles from both Benetton and Ferrari. Have to ask at some level how much of their greatness was Schumacher or Ross Brawn. Can't deny Byrne's contribution but one wonders how much success Byrne's designs would have seen with the variety of drivers and teams that Newey has worked with. 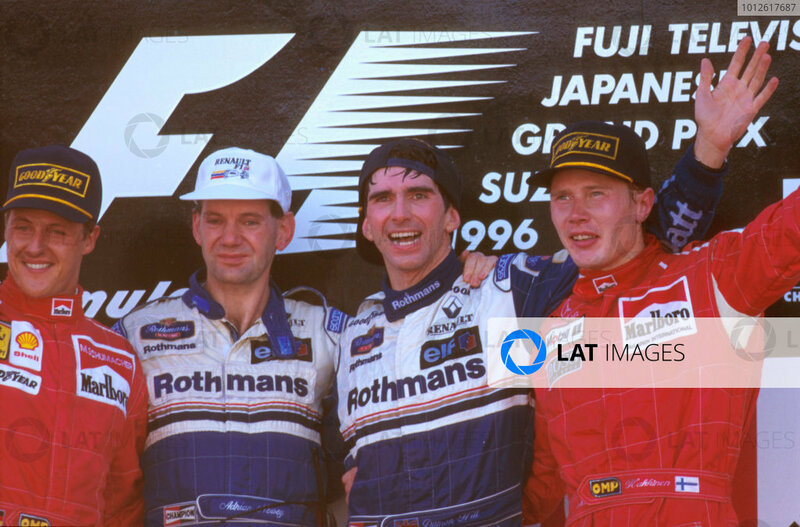 Newey won titles with Nigel Mansell, Damon Hill, Mika Hakkinen, Jacques Villeneuve, and Sebastian Vettel. (Yeah I know that for Hill's and Villeneuve's titles Newey was supposedly on "Gardening Leave" before moving to McLaren) Newey also won with three teams Williams, McLaren, and Red Bull Racing working with significantly different personel at the various teams. Designing an F1 car is most probably as much managing the design team as actually creating aspects of the car. These two have both put their individual stamp on championship cars and guided their teams in putting together the minutia needed to flesh out a complete championship winning car. Hard to compare them on equal terms, but my nod would go to Newey. Don't care very much about bar fights. Newey for me. The track record is unparalleled. Even when he/his team doesnt get it quite right, (2015 for example) there is usually big progress throughout the year and by the end they are always there aero wise. He is the best one n the business. There is a reason some teams would give an arm and a leg to bring him in. Mclaren should never have let him go. New year was at Williams for 1996. He left at the end of 96. The 97 Williams was his design. He was on gardening leave for 97 (at least most of it) but Williams complained about a very Williams looking front wing appearing on the 1997 Mclaren. Newly also designed the 1998 Mclaren whilst on gardening leave - this was the most dominant car in history before parts got banned to slow it down. The most amazing thing about Newey is when major rules were changed he designed the best car right away. In 98, 2009 and even in 2014 the Red Bull was arguably the best chassis. As I remember Newey did have to sit out some of the 96 season as it became clear to Williams that he was leaving.